MBS Engineering worked as prime contractor to replace over 4000 linear feet of gas line around the Solano Community College campus. 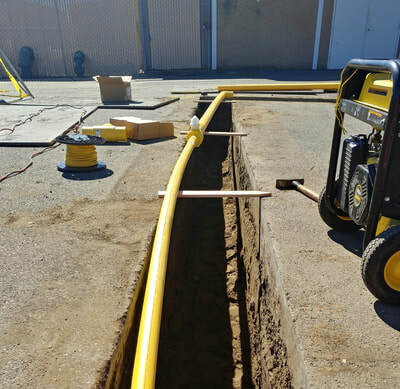 MBS Engineering also installed new gas pressure regulators and submeters at many of the buildings. ​MBS Engineering, working as a subcontractor for a larger Modernization project, replaced the aging and undersized gas system in place at Valley Oaks Elementary in Galt, CA during the summer of 2018. Not only did MBS crews install over 400 LF of 6” MDPE gas piping all to PG&E standards and procedures, but MBS also made connections to 6 existing branch lines feeding the school, installed important isolation valves at each building connection, installed a new 6” Manual Shut-Off Valve downstream of the Utility Gas Meter, and installed a new 6” Seismic Shut-Off Valve to protect the school from gas fires or explosions during a seismic event. 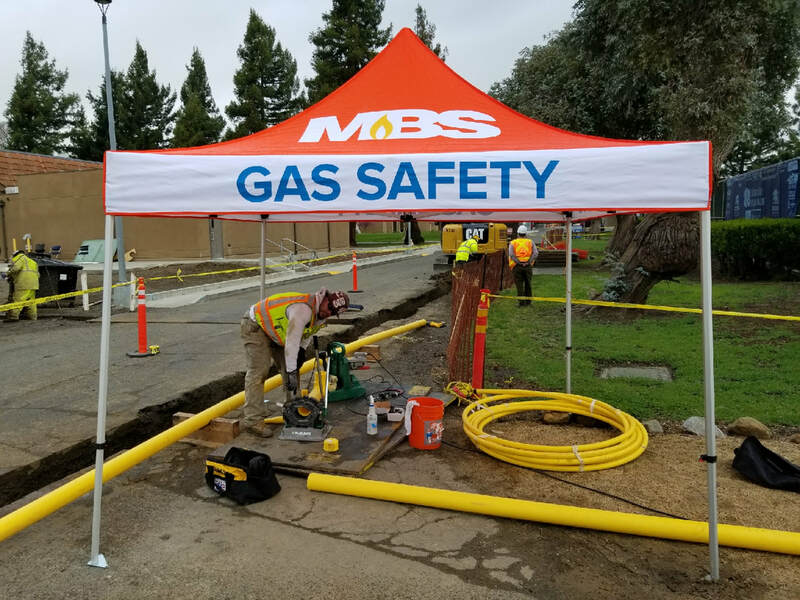 MBS PG&E certified welding crews fabricated the connection to the existing gas meter and tie-in to the underground gas line route following all PG&E standards and procedures for steel pipe welding. The project itself was a last minute, short notice project and a very short window of completion was given for MBS to complete the work. 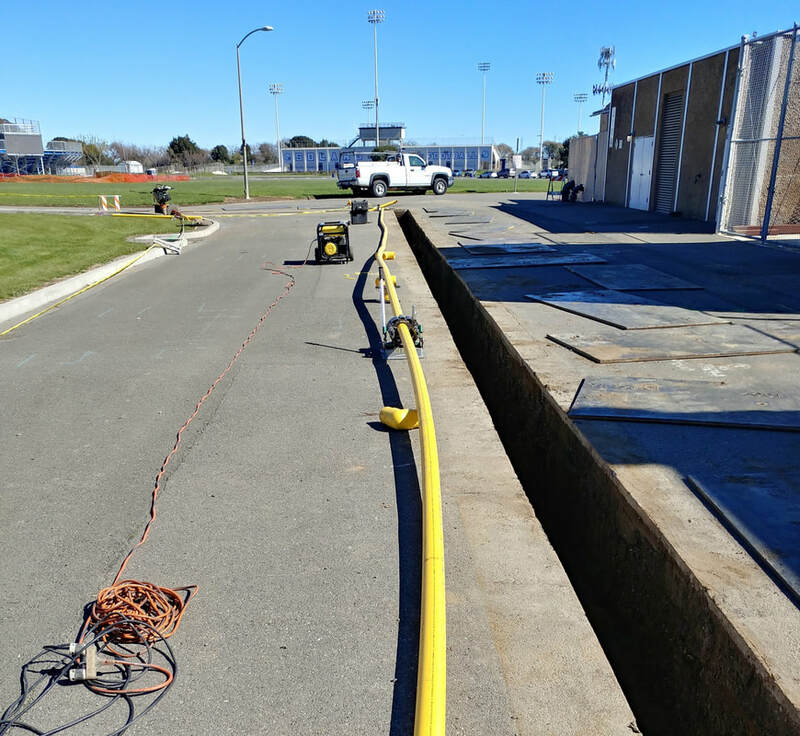 Working long hours and even weekends, MBS was able to complete the project ahead of schedule, making the school district and Prime Contractor ecstatic with the work performed by MBS. MBS total scope of work included Professional Utility Locating, Asphalt & Concrete Cutting and Removal, Excavation/Trenching, Underground Pipe Installation, Utility Gas Meter Tie-In, Seismic Shut-Off Valve Installation, Pressure & Leak Testing, Backfill of the Gas Line Trench, and Asphalt/Concrete patch back. 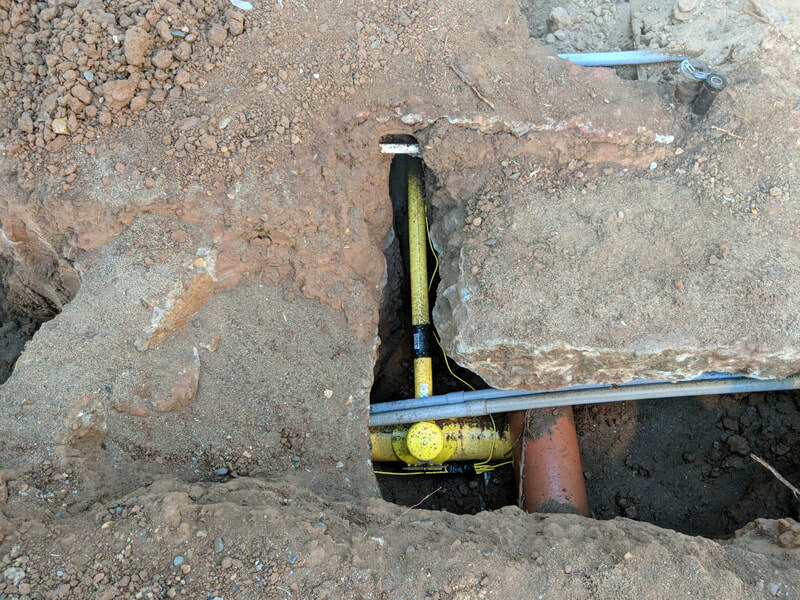 The gas was turned back on to the school 2.5 weeks after MBS arrived on site, a full week ahead of schedule.